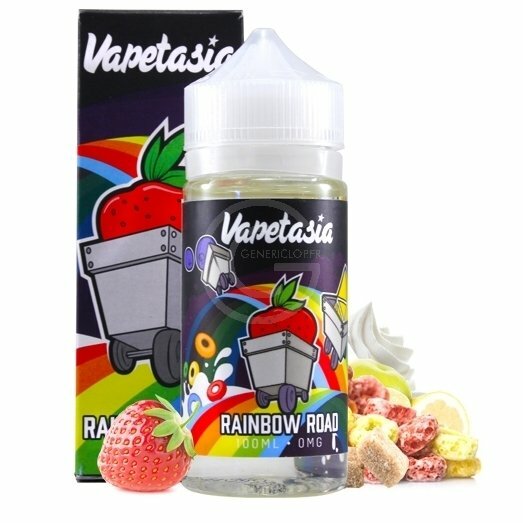 Rainbow Road by Vapetasia is all the familiar breakfast cereal flavors of citrus, berries and tangy fruit with the smoothest creamiest milk flavor possible! The classic Saturday morning cartoon flavor from the past provides pure enjoyment and nostalgia to your vape. Vapetasia Rainbow Road ejuice delivers fruity berry and citrus tones on the inhale with creamy milk on the exhale.